Paper Smooches VEGTASTIC Clear Stamps Kim Hughes at Simon Says STAMP! 01005 / 1.2 This item is on reserve until If you would like to reserve this item now, you may purchase it now with the rest of your order. We will hold your order now and ship your entire order as soon as this item is back into stock. If you would like your order to ship now, please place this item on a separate order. 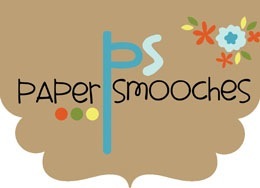 Success, Paper Smooches VEGTASTIC Clear Stamps Kim Hughes has been shared! These cutie images are irresistible! Great for garden and veggie lovers, recipe cards and kids, just to name a few. This sweet 4 x 6 stamp set consists of 7 images and 5 punny sentiments! Approx. sizes: tomato 1.25 x 1.5, carrot - 1.75 x 1.75, pepper - 2 x 1.25, peas - 1.5 x 1.5, eggplant - 1.25 x 2. 1) Peas are great for baby (boy, girl or twins). 2) The pepper can be colored or paper pieced with many different colors. 3) Use each image for a very colorful project! This set consists of one-of-a-kind images and sentiments that are hand drawn with love.